Having watched your recent presentation to the Confessing Movement gathering at the Texas Conference, I feel led by God to say to you: I love you. I want to be in the church with you, although your words of condemnation and insult hurled in the direction of beloved friends who are bishops, pastors, and lay people indicate you are repulsed by us. But I don’t want church without you. And I want to ask you to love me, and us. 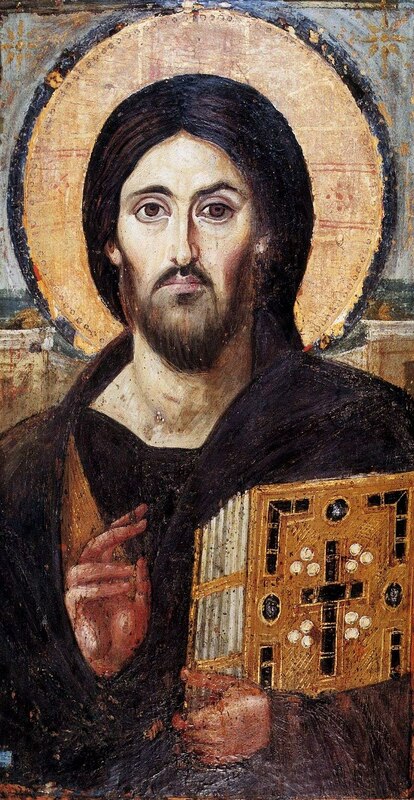 Jesus, by that astonishing expansiveness of his mind and heart, prayed not just for the disciples at the Last Supper but also for you and me to be one. In his church, there’s room for all, for both of us. My love for you is grieved to the core by your words, which I do not believe came out of the authentic child of God in you. The saints in glory won’t vote at General Conference, but they weigh in right now, if we have ears to hear. Was it Mother Teresa? or Clarence Jordan? or someone else who said “God doesn’t call us to be successful; God calls us to be faithful”? To be holy. To love. 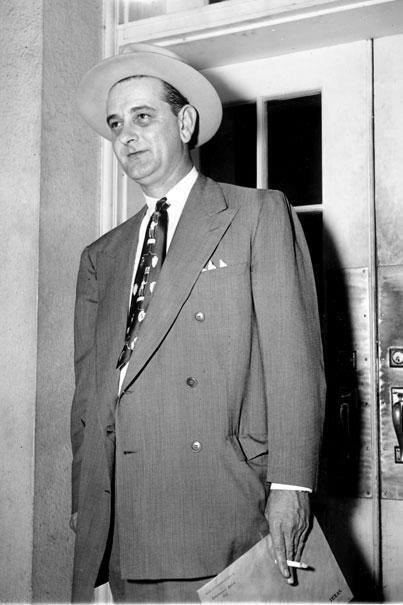 For LBJ, driven as he was by a blinding zeal to get elected, any tactics, however ruthless or devious, were acceptable. In the world, it’s always “Do anything to win.” We love, even if we lose. You said that usually you “play nice.” Please don’t play. I believe down deep, holiness is a thing we both care about and are committed to, with those saints in the cemeteries. 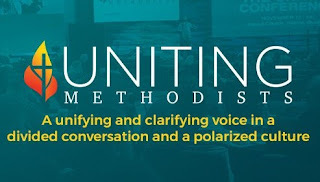 Want to know who’s close to Jesus in United Methodism? Look for those exhibiting the Spirit’s fruit, love, joy, peace, patience, kindness, gentleness, self-control – and then those traits Jesus blessed, poverty of spirit, meekness, mournfulness, mercy, a hunger for righteousness (not a smug claim we’ve already got it), mercy, purity of heart, peacemaking, and a willingness to suffer for sticking close to Jesus (instead of inflicting the suffering on others). I listened in vain for the Spirit’s fruit, for Jesus’ blessing, for any grace at all in your words. I hear presentations these days that are snide, sarcastic, snarky, dismissive and derogatory - from politicians in our newfangled United States where nastiness wins. But this is God's church. At first I recoiled from your onslaught of words. But then I thought it must be hard for you to live in your own skin. Rage corrodes you from within. You asserted that you are sure your side will win in February 2019, and the One Church plan, which I and other Uniting Methodists support, will lose. If so, why are you so upset? Why not a placid faith in God’s good future for the church which we know “will be preserved to the end of time”? Why not keep with what you've been about in ministry, which there's room for in One Church? You blast hypocrisy, hubris and contempt. Surely you know that your talk is overflowing with hubris, and contempt for brothers and sisters in the Body. You say they are just plain dumb. I can confess that I used to be a lot like you. I was a smart guy boasting a Ph.D. in biblical theology. I jumped at every opportunity to spout how right I was and to point out how wrong others were. I was sure God would be quite proud to have a defender like me. But I’d never absorbed Paul’s words: “If I have all knowledge, but have not love, I am nothing.” I was worse than nothing. My hubris inflicted pain on God’s children. Thankfully, someone who loved me helped me learn to love. I love the song from Avenue Q: “Everyone’s a little bit racist.” We Methodists should sing another ditty, which I’ll entitle “Everyone’s a little bit hypocritical.” Not one of us is as holy as we want to be. We’re easily rankled. We’re blinded to the truths and goodness in others who seem so wrong. We get puffed up. We all pick and choose what within Scripture to take literally, as it suits our pet notions, and where we apply spin, again to evade what we do not prefer. We forget how broken we are. Not one of us teaches infallibly. Let me see if I can offer you some comfort. I sincerely admire and applaud your effort to defend God’s honor and pursue the truth and holy living. Please understand (as failure to understand others is the crime you pin on the bishops) that we too seek to lead holy lives, and have committed our lives to God’s truths. I love and am steadfastly committed to God’s living Word in Scripture. And while we never understand anyone, including ourselves, fully, I think most of us who lead in Methodism do understand you. I have invested a lot of my life in listening to, learning from, and befriending people across the theological spectrum, including many in the WCA. I’d ask for your love, and that you begin by listening to and trying to understand me, and mine, and how God’s Spirit is working through and living in us. Recently, I led a Bible study on Paul’s terse, tearful letter to the Christians in Corinth who were splintering. Many were sure they were absolutely right and full of the Spirit while others were dangerously misguided. After explaining how the Body has many differing members, he taught them and us how to function within the Body: “Love is kind, Love is not arrogant, Love does not insist on its own way.” My brother, I’m asking for your love. 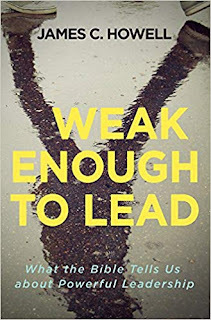 My newest book, Weak Enough to Lead, is available now. Dr Howell, Rev Renfroe stands for the Bible and the teachings of the apostles. You seem fond of quoting Paul and yet Paul condemned homosexuality in no uncertain terms. I think you owe Rev Renfroe an apology. 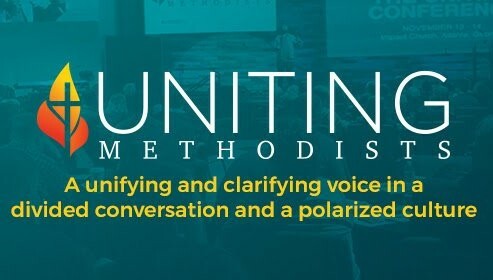 He is right and this issue is poised to split the UMC into those that take the difficult path of following the Lord or those that take the politically expedient and correct path and follow the desires of the LGBTQ special interests. Choose, but choose wisely... We are all sinners and Christ would say the same to me as He would to any homosexual that is willing to accept Him, 'your sins are forgiven, go and sin no more'. "following the Lord" vs "politically..." is rather presumptive in assuming that Refroe or anyone else has the only path. Based on Scripture, homosexuality is not necessarily a sin. Ok, let's not use the word "homosexuality", in my post, for now. True scripture believers, know that the word "homosexuality" is not in the original text of scripture OT/NT. The first known appearance of the term “homosexual” in print is found in an 1869 German pamphlet. However, the Greek word used for 'homosexual' is ἀρσενοκοίτης, arsenokoites. Here is what it means according to Greek dictionaries: ἀρσενοκοίτης arsenokoítēs; gen. arsenokoítou, masc. noun, from ársēn (730), a male, and koítē (2845), a bed. A man who lies in bed with another male... The Holy Bible was written in Biblical Hebrew, Biblical Aramaic, and Greek. “The original audiences experienced no friction between perceiving the form or structure of the text and perceiving the meaning of the text…” (Quora-English-Language Bible Translation). Thank God for His apostle. The Apostle Paul proclaims, “All Scripture is inspired by God and is useful to teach us what is true and to make us realize what is wrong in our lives. It corrects us when we are wrong and teaches us to do what is right” (2 Tim 3:16). The narrative that the word homosexual/homosexuality is not in the original text and or stating “based on scripture, homosexuality is not necessarily a sin”, is not true. Therefore, let’s used the Greek word for men lying with men described in Romans 1. 24 Therefore God also gave them up to uncleanness, in the lust of their hearts, to dishonor their bodies among themselves, 25 who exchanged the truth of God for the lie, and worshiped and served the creature rather than Creator, who is blessed forever. Amen 26 For this reason God gave them up to vile passions. For even their women exchanged the natural use for what is against nature. 27 Likewise also arsenokoites leaving the natural use of the woman burned in their lust for one another, men with men committing what is shameful, and receiving in themselves the penalty of their error due. God has spoken! Thank you Dr. Howell for this timely letter. The practice of Homosexuality is a sin and an abomination to the sight of God. Not only does the Bible God's Holy Word teach this but its also mentioned in the UMC Book of Discipline. May the LORD make his face shine upon us and be gracious unto us. May the LORD lift up his countenance upon us and give us his peace. As children of God, each of us is called to love ALL people. Loving "all people" does not mean I must also approve their ways or life style. When a friend of mine practiced having sexual relations outside his marriage I could not condone his "lifestyle"; I still love him as my "brother". I must love a pedifile but I surely do not approve of his ways. I want him to repent of his lifestyle, forsake it, and seek God's mercy. I will help him in love and because of Christ's love for him.